Whether you love or hate advertising there is no getting away from the fact that it does play a large part in the average consumer’s life. Big brands spend around £20 billion a year on advertising simply to get the consumer to buy their products. But advertising agreements between traders and consumers are strictly regulated and there are consequences should these regulations be broken. There is no escaping advertising for the average consumer. Advertisements are everywhere; in newspapers, on television, posters in the street, mail shots through the letter box, adverts appearing in texts on mobile telephones, the list is endless. However, fair advertising agreements between consumer and the advertiser do exist and are regulated by the Consumer Credit Act and agencies such as the Office of Fair Trading. Traders who advertise their products and services have an agreement with the consumer that their advertising is fair and is not misleading in any way. There are a number of stipulations that must be adhered to regarding advertisements and consumers, especially when it comes to advertising and the sale of goods and services. Consumer law gives the consumer many rights, and criminal penalties can be applied to the trader who misleads the consumer with their advertising practices. These laws exist for the protection of the consumer regardless of whether they are buying goods in a store, obtaining services from a company, or applying for a credit card. An advert will be deemed misleading if it attempts to deceive its audience, and/or cause harm to the competitors of the advertisers. In effect, if the advert makes false claims about a product and hides or omits certain facts then it can be deemed misleading. This type of advertising is not allowed and the consequences can lead to heavy fines for the advertiser. Consumers have a great deal of rights when it comes to misleading advertising. If a product is not as it was advertised, breaks down within a certain length of time and is not fit for the purpose it was intended then a full refund can be applied. If the advertising was deliberately misleading on the trader’s part then a complaint can be made to the Trades Description authorities or the Office of Fair Trading or to the relevant agency for a particular product or service. Sometimes advertisers will slip up. For instance, a large retailer that advertises goods on an internet site is inviting the consumer to enter into an agreement to make a purchase. However, on many occasions the products on websites have been incorrectly priced and the purchase has taken place before the mistake has been noticed. If this happens then there is basically nothing the retailer can do. As a guard against incorrect pricing, many retailers will hold off on the final completion of a purchasing agreement until the last minute. Payment may have been received by the retailer but goods will not be sent out and the contract will not be concluded. It is far easier to simply not complete the contract in this way than for a retailer to breach a contract. This type of practice needs to be detailed in any contract’s terms and conditions; if it is not mentioned or the terms are misleading then the retailer can face heavy penalties. Laws regarding consumer credit advertising are also heavily regulated. Companies cannot simply bury certain facts within adverts. For instance, annual percentage rates (APR) that are shown in adverts must be more prominent than other financial information. Warnings regarding securing debts against the customer’s home must be shown. There is a list of stipulations and regulations that credit advertisers must stick to, and if they fail to adhere to these rules then their licence can taken away and they will no longer be able to continue trading. Consumers should be able to take advertising agreements for granted, safe in the knowledge that they will receive a fair deal from traders. Agencies such as the Office of Fair Trading and the Advertising Standards Authority, along with legislation such as the Consumer Credit Act are in place to make sure advertising agreements are fair. 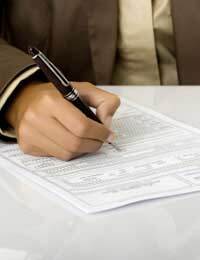 However, personal responsibility should still be taken when entering into any contract or agreement. This includes consumer rights knowledge and the reading all of the terms and conditions of any contract before signing. I agreed to advertise with Hotcourses for 12 months paying monthly installments. However i didnt realise that advertising started immediatly nor that the price quoted didnt include VAT. On receiving an invoice for the full amount including the VATi said i could afford this and wouldnt be able to continue with advertising. They have done no work on the advert and i have both emailed and spoken on the phone to say i couldnt go ahead with it. They now want all the money. What can i do.